Light Blowing, the project curated by Ilaria Ruggiero and Samantha Punis dedicated to the best lighting design in blown glass, will be back from 9th to 30th September at the Fondaco Marcello in the very heart of Venice as part of the programme of the second edition of The Venice Glass Week, the international festival devoted to promoting the treasured glass art industry, which will take place from September 9th to 16th in the lagoon city. 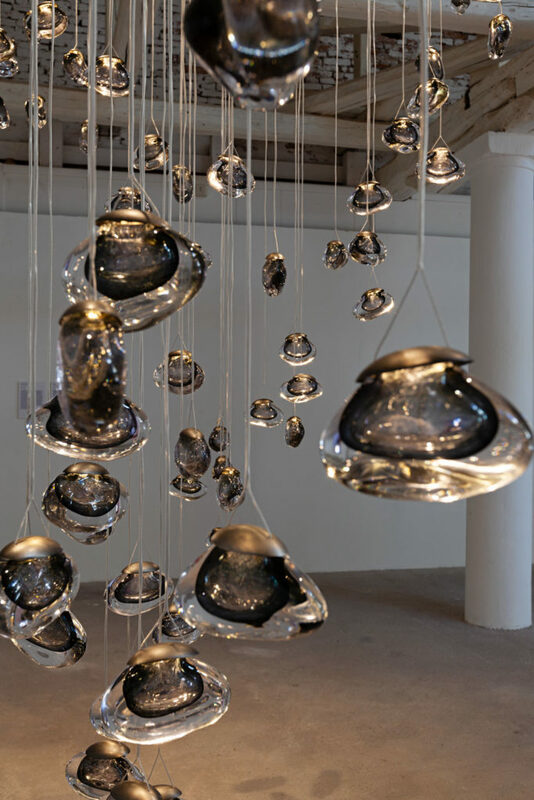 Born in 2017 to stimulate the links between the world of design, traditional manufacturing techniques and the results achieved by the use of different glass and mixed techniques; paying particular attention to the craft skills of workmanship and aesthetic research, this year Light Blowing will put forward a selection of artists, designers and brands invited to represent their creativity expressed in the world of light through previously unseen projects, site-specific installations or limited series products expressly created for this Venetian event. 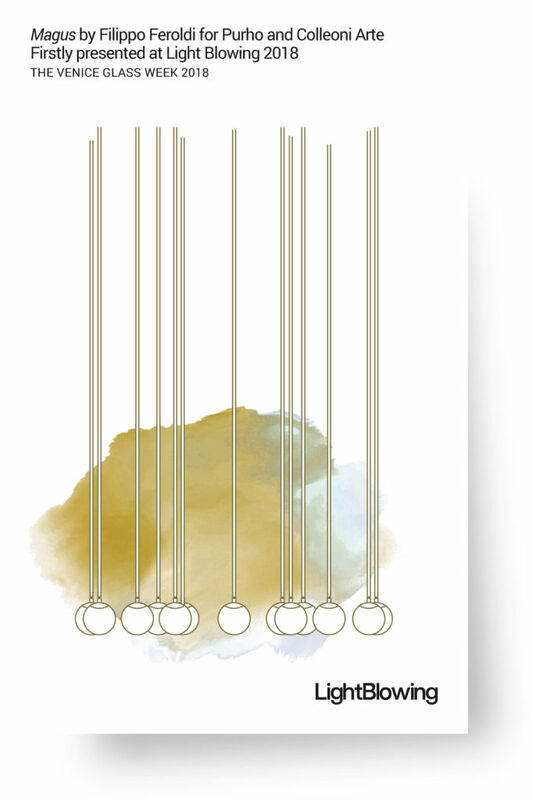 A plurality of voices to present the complexity and richness of glass production today through the works of Serena Confalonieri for Mason Editions / Ochre / Filippo Feroldi for Purho e Colleoni Arte / Soffi / Matti Klenell, Katja Pettersson, Simon Klenell, Åsa Jungnelius, Ludvig Löfgren, Stina Löfgren, Gabriella Gustafson, Monica Backström, Mattias Ståhlbom and Carina Seth Andersson for The Glass Factory in collaboration with The National Museum in Stockholm / Cristina Celestino for WonderGlass. 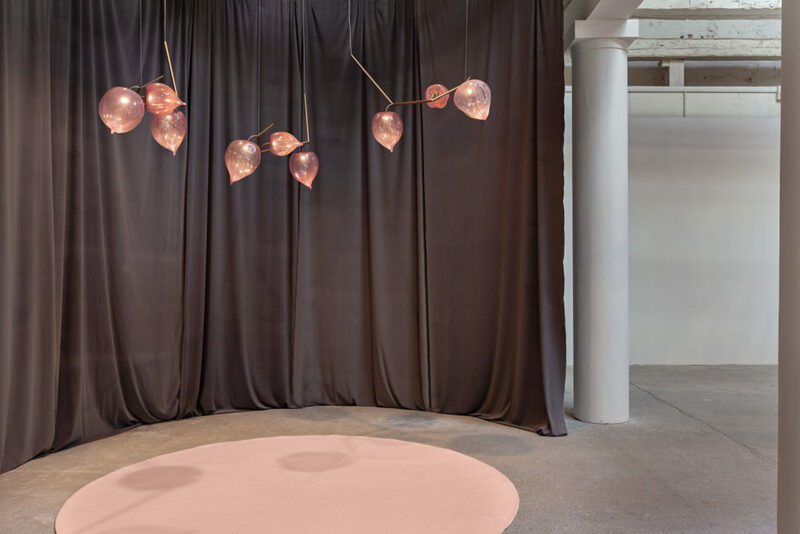 Physalis by Cristina Celestino for WonderGlass is inspired by the delicate process of harvesting fresh flowers for the purpose of drying. 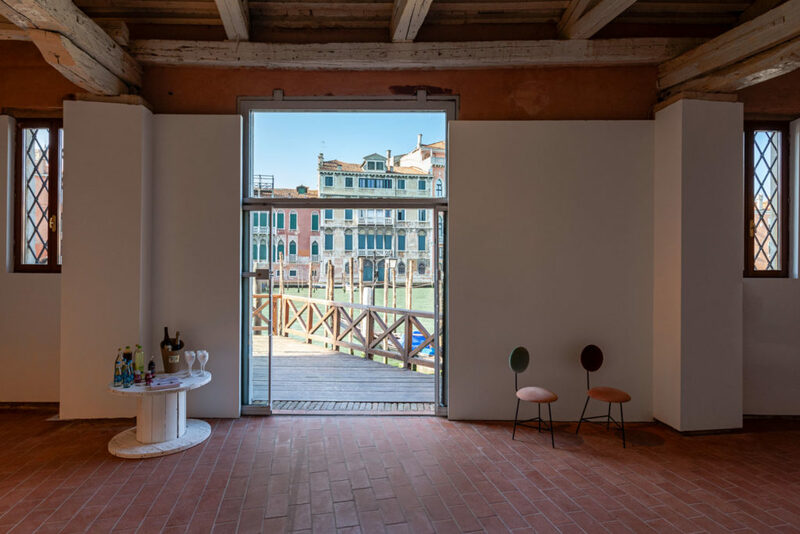 Celestino was particularly interested in the Physalis variety of flowering plants, of which stand out for their characteristic lantern shape – an ephemeral organic architecture consisting of a very light and impalpable envelope. 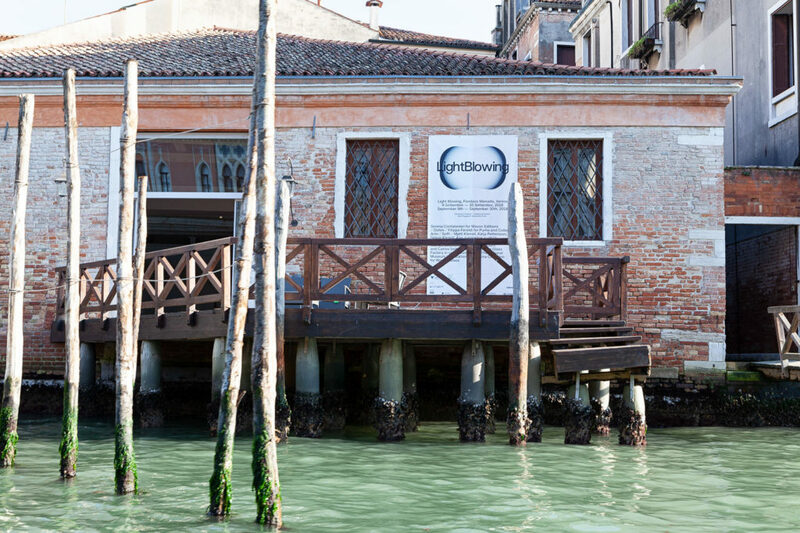 Physalis is blown by WonderGlass’ master glassmakers using Pulegoso glass on Murano. Like the flower with its characteristically desaturated palette, the pieces range from warmer pink tones to semi-transparent whites. 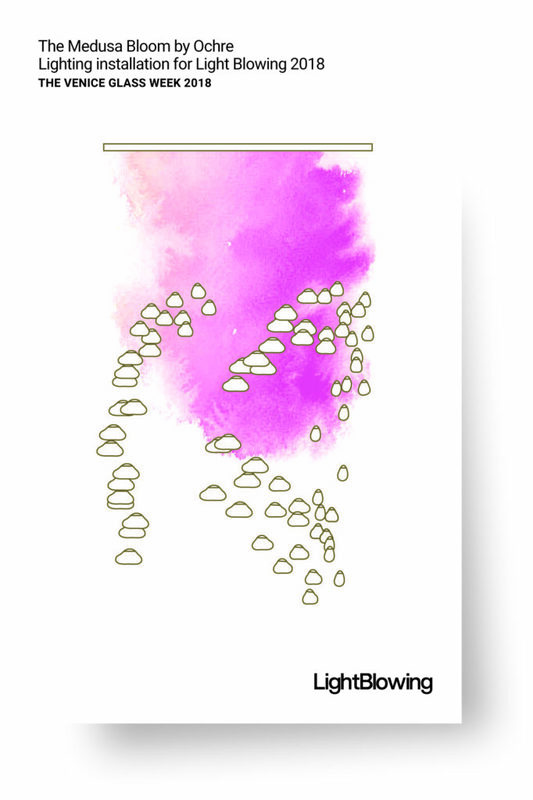 The glass replica is composed of a pale pink glass filtered by the texture of the bubbles enclosed in it. The glass externally is almost imperceptible, delicate and shiny, consisting of three fruits hanging sweetly on a branched metallic stem, lit up with impalpable light, as if to offer themselves to be collected. 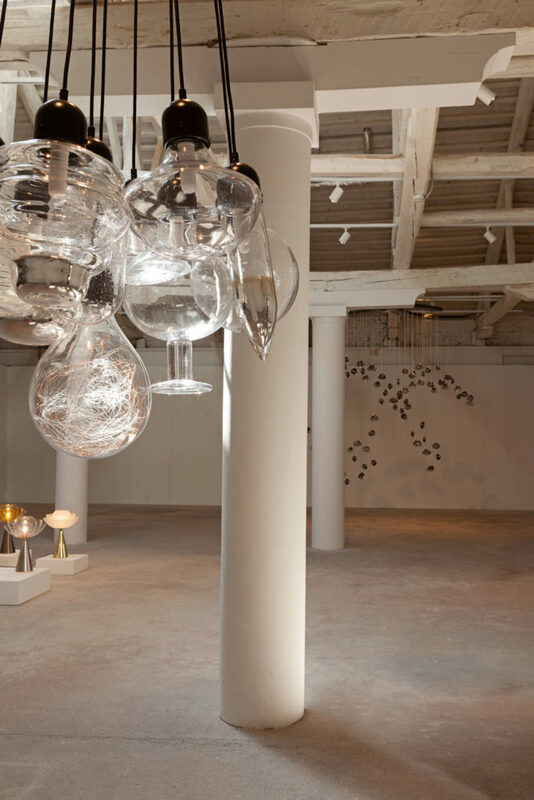 Cluster by Matti Klenell, Katja Pettersson, Simon Klenell, Åsa Jungnelius, Ludvig Löfgren, Stina Löfgren, Gabriella Gustafson, Monica Backström, Mattias Ståhlbom and Carina Seth Andersson for The Glass Factory in collaboration with The National Museum in Stockholm is a chandelier manufactured by The Glass Factory and Örsjö lighting with the production-workshop method. Two bigger versions have a home in the Nationalmuseum’s new restaurant at Blasieholmen in Stockholm. As the museum building has been undergoing extensive renovations, a project was initiated with the goal of giving a collective of designers the opportunity to work together, explore materials and methods, discover old and new producers, and ultimately provide museum visitors with insights into the design process as well as the ability to use the results. 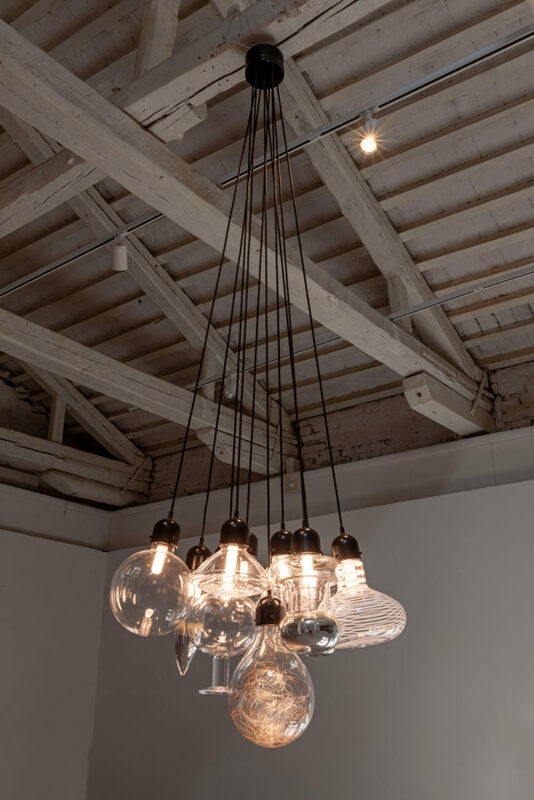 The chandelier is the project’s clearest example of how several designers and manufacturers work closely with each other. 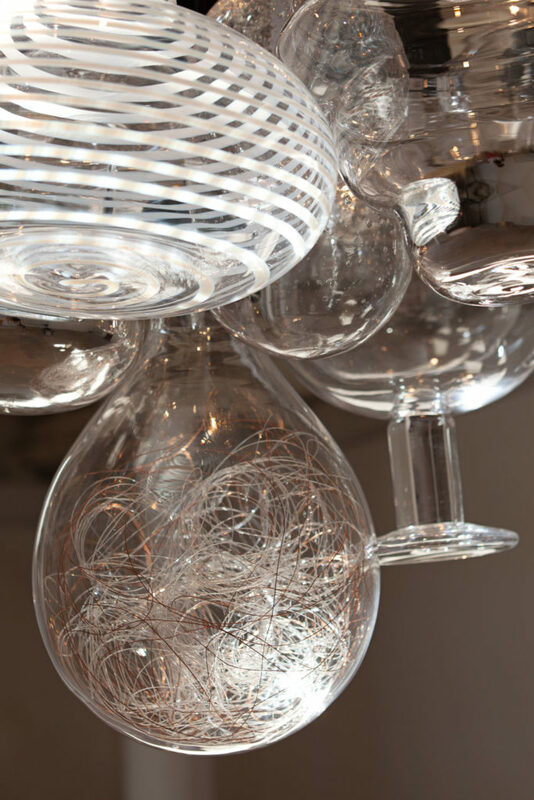 In a joint workshop they have developed and produced the various parts of the chandelier into a whole. 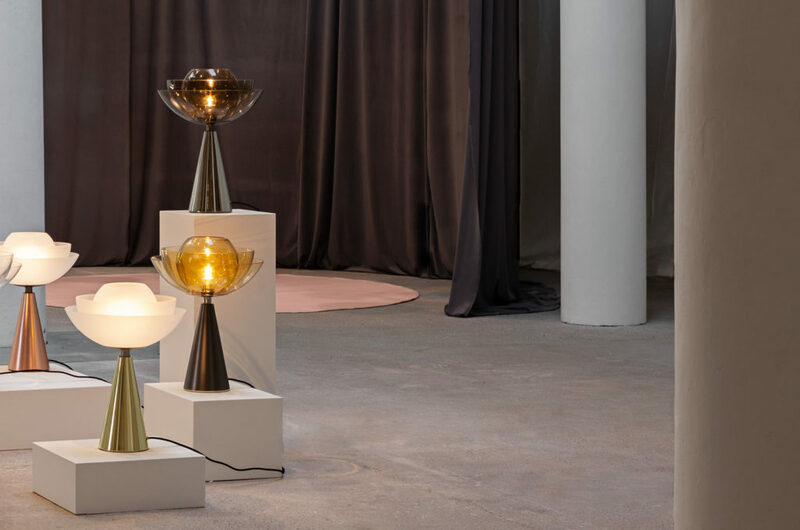 The project’s core group – Swedish designers Matti Klenell, Carina Seth Andersson, Gabriella Gustafsson, Mattias Ståhlbom and Stina Löfgren – set the concept and guidelines for the individual lamps. They subsequently expanded the group with Monica Backström, Åsa Jungnelius, Sinom Klenell, Ludvig Löfgren and Katja Pettersson. 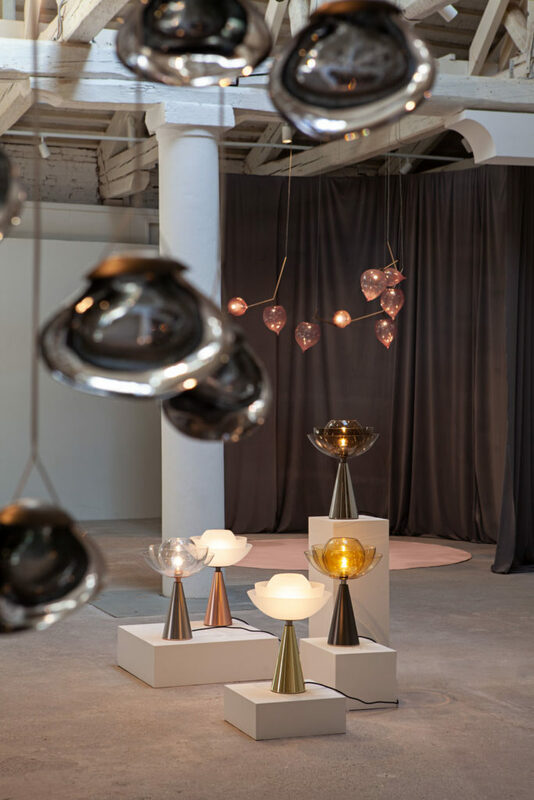 For a week, all the designers gathered in The Glass Factory’s hot shop to work with glassblowers, mould makers from Fantasilaboratoriet, grinders and Örsjö lighting designer and technicians. The result is the prototype now shown at Light Blowing 2018. 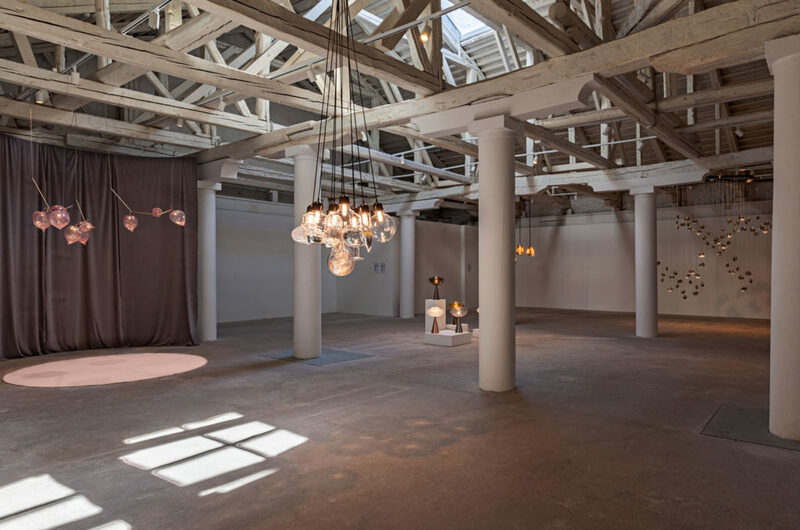 The individual lamps will be launched at The Glass Factory in spring 2019. 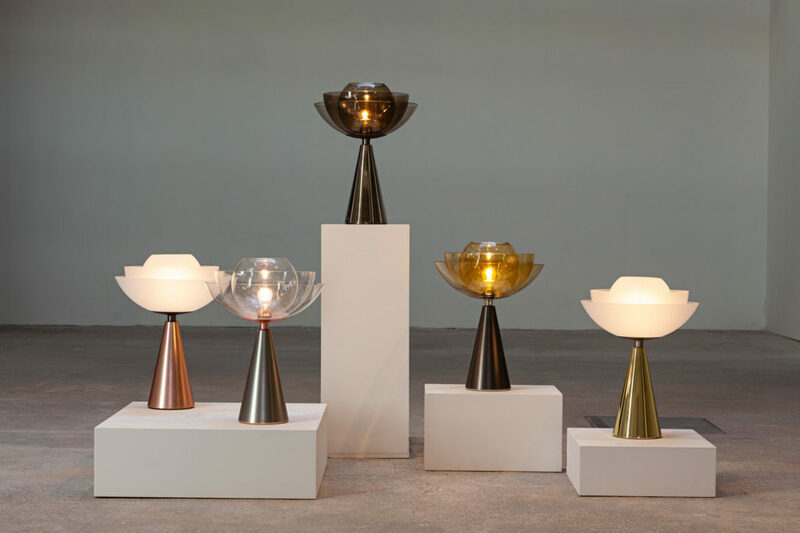 Lotus – table lamp designed by Serena Confalonieri for Mason Editions – makes its debut at Light Blowing 2018 in new special finishes available in limited edition conceived for the Venetian event. 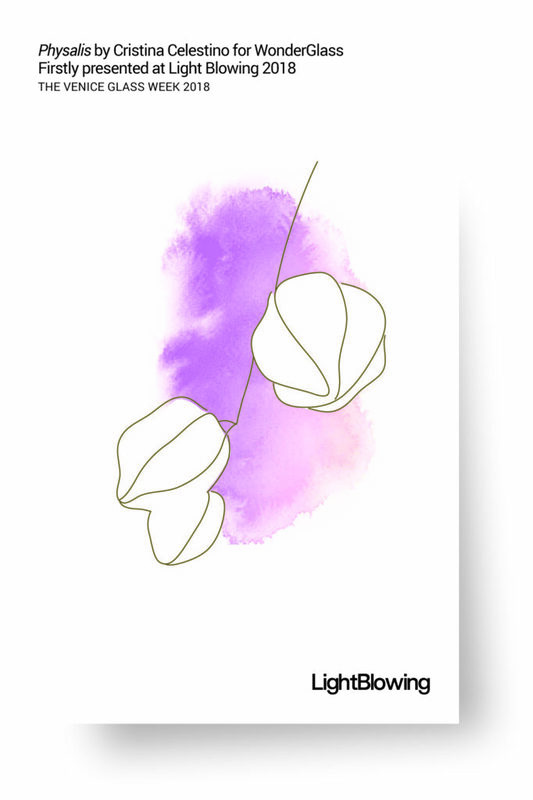 With its fascinating shape and inebriating scent, for many Asian cultures, the lotus flower symbolises elegance, beauty, perfection, purity and grace. 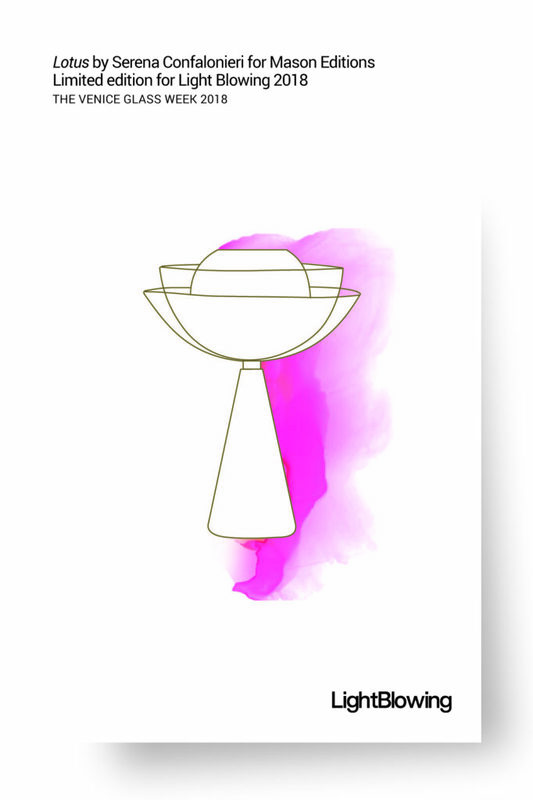 The stand of this magical flower is a cone in enamel-coated metal and brass, which narrows towards the top to house the luminous core. 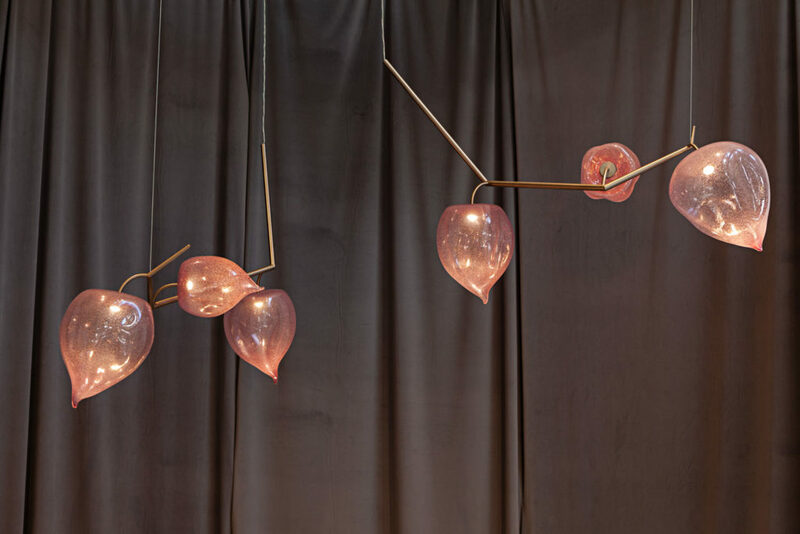 Like a bud opening up in the sunlight, Lotus unfolds its petals consisting of three separate blown glass elements. 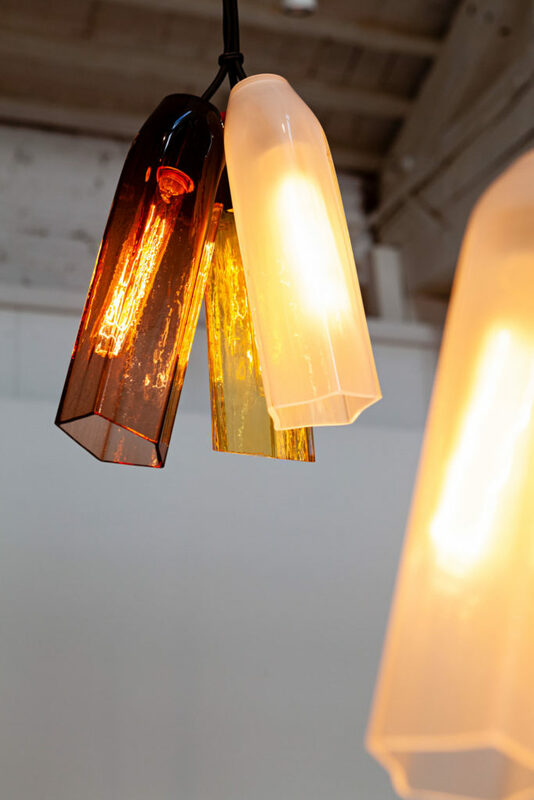 They gently filter the light to create an intimate and discreet atmosphere. the constant attention and interaction of the glass blower to counteract the normal behaviour of molten glass. A grey/green pigment, reminiscent of the ocean is applied to the inner cavity of each of these undulating pieces. The Medusa Bloom can be appreciated both as a beautiful piece of art sculpture when the light is off, to an eye-catching and functional piece when it is illuminated. 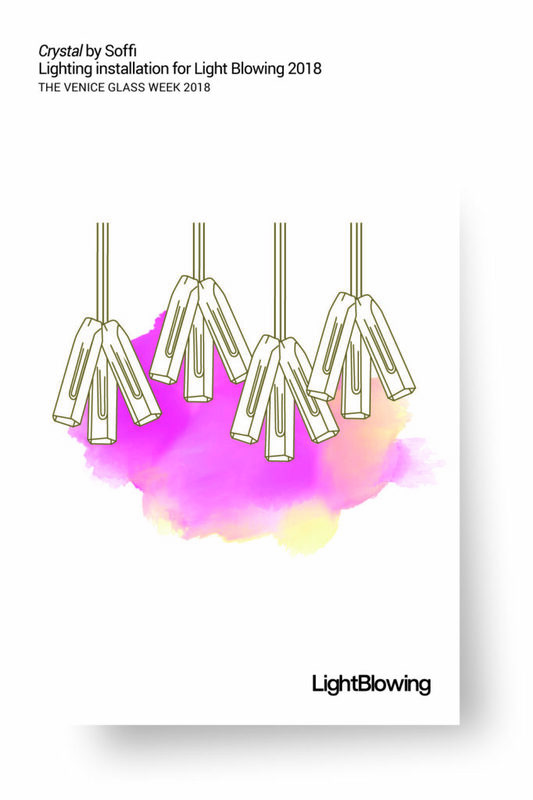 Crystal by Soffi is a lighting installation composed of different coloured clusters of three Crystal pendants. 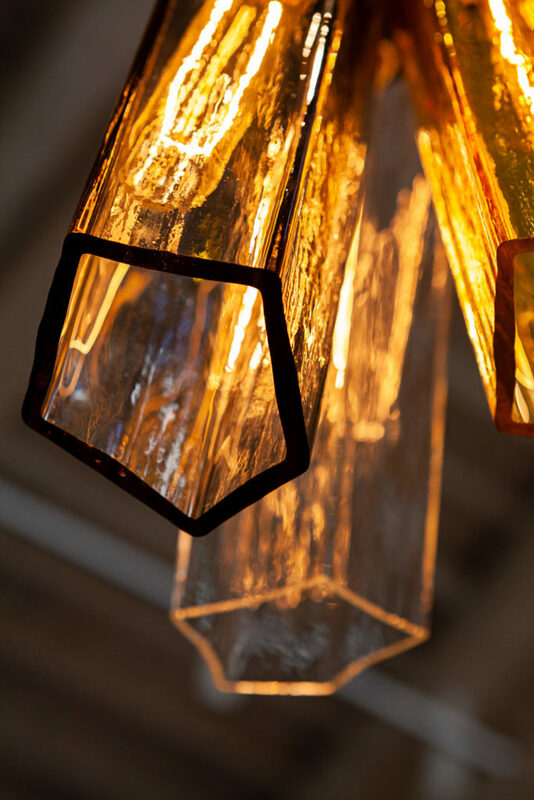 These are designed with a crisp, faceted design, with the bottom edges cut on a bias to reflect the essence of the shape of natural crystals emphasized by a mottled, reflective texture. 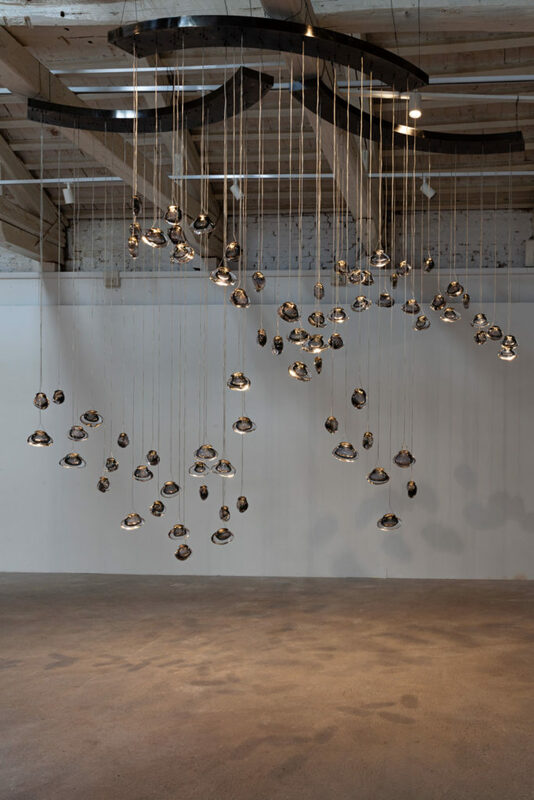 Expressly conceived for the Light Blowing 2018 exhibition project, this new lighting installation will offer a different interpretation of the pendants by assembling them in different coloured hues for an unexpected final effect. However, this is more than just an exhibition project. 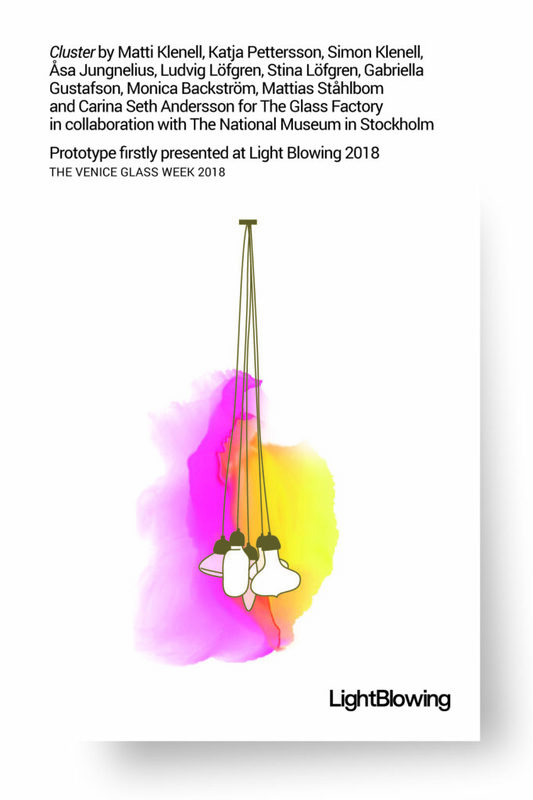 Starting from the 2018 edition, Light Blowing is becoming a stable, continuous format, marked by research and consultancy activities aimed at stimulating the ever-closer comparison between design and blown glass in open dialogue with the Murano glass making tradition and the most important international centres of glass production. An institutional network of partners and professionals in the sector will also enable it to operate continuously throughout the year.  The new website www.lightblowing.com will have the task updating all of the events on an ongoing basis.